Last night I had the great opportunity to go to one of our amazing local theater companies Hale Center Theater Orem to see their production of In the Heights. This is a show I had never seen before and was fairly unfamiliar with the songs and storyline (I had 4 of the songs on my ipod but had never listened to the complete soundtrack). I love seeing shows that are classics that I know I will love but it is also fun to see something totally new and unexpected. 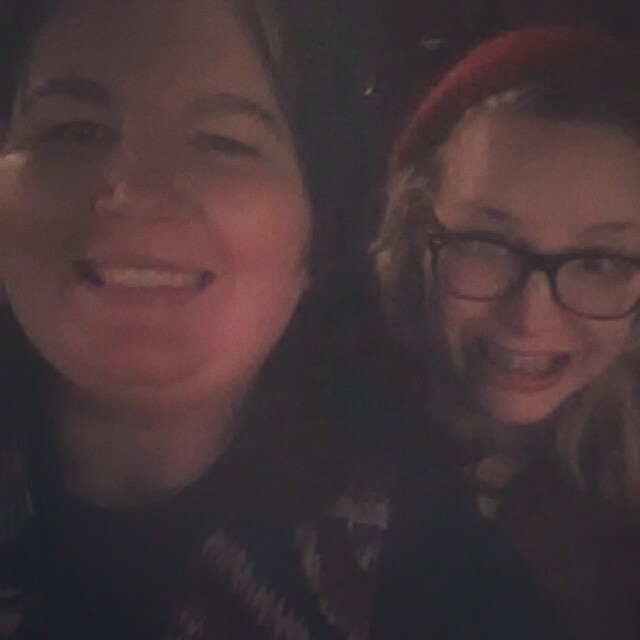 Anna and me at Hale Theater Orem In the Heights. It was a little bit more adult than what I’ve seen at Hale before but still at a PG-13 level for sure . I have mentioned Hale Theaters several times on this blog but I don’t think I’ve ever profiled them on an exclusive post. There are 2 Hale theaters in Utah, one in West Valley (soon to be Sandy) and in Orem. The theater in West Valley is larger and has a million dollar stage that can move around and provide some pretty amazing special effects. Hale Orem is smaller (i couldn’t find a good photo of that stage) without the fancy special effects but it is equally compelling and intimate. In fact, on some productions I think smaller is better (I tend to feel that way about The Christmas Carol where the special effects and excessive fog machine at Hale West Valley can be a little much). It can also force Hale Orem to be very creative in the small space as in I think the Secret Garden where they moved door frames around to show a chase in a large manor. Both of Hale theaters are theater in the round. where the seats are pointed down at the stage instead of staring up in an auditorium like a traditional play. This has an immersive feel that allows the audience member to be surrounded by the performance and to have a good seat from anywhere in the theater. So they are good with the theaters but then the Hale’s make things extra special with wonderful talent and show choices. I’m amazed with how great the talent is especially considering that most of the performers are volunteers doing it for the joy of it not as a full time job. I really think that either Hale theater should be considered for the Tony Regional Theater Award. 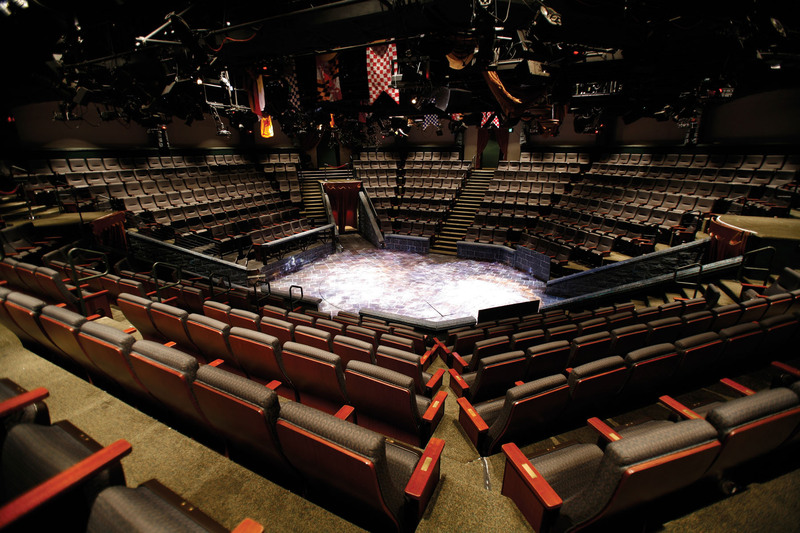 The Utah Shakespeare festival won that award and Hale Theaters are equally worthy. Anyway, that gives you an idea of the range and quality. It is often as good if not better than anything I’ve seen on broadway and to make it even better most of the shows are under $20 and family friendly. It is a true blessing of living in Utah, so if you don’t go to see their shows you are really missing out. My only comment to them would be it would be nice if they had more variety in their selection of plays. Between the two theaters they have done Arsenic and Old Lace, Lend me a Tenor, The Foreigner, Curious Savage, Hasty Heart and No Time for Sergeants multiple times and as frequent attendees of both theaters I don’t want to get season tickets to shows I’ve just seen. Particularly glaring is when it is done just a year after the other theater did it. For example, Hale Orem did the 39 steps one year and Hale West Valley did it the year after that. Or last year Arsenic and Old Lace (a particular favorite for this area I’m not sure why?) was done by Orem and now it is on the docket for next year in West Valley. I understand the 2 companies are different businesses but as a business you should look at your competition and try to pick new and exciting material and not just for your musicals. I am sure it is tough to find clean and appropriate plays for a budget but I’m sure there are more out there than the repeats. I can only think of a few misses with Hale. Last years Game’s Afoot was a huge disappointment. The ads made you think it was a play about Sherlock Holmes. In truth it was a lame farce about actors who played Sherlock Holmes. It also didn’t have the professional acting I expect with Hale. Lines were dropped and performances were clownish. Still, it was a rare miss. I also look forward every year to seeing The Christmas Carol (one I don’t mind repeating!) every year at one or sometimes both of the Hale theaters. The man who plays Scrooge at Hale Theater Orem is amazing and has been doing it for decades. Its really an act of generosity to give so much of your time to the community during the holidays. It makes Christmas for me and I wouldn’t miss it! So, if you haven’t seen a show at Hale Theater, go! And if you need someone to go with, call me!